Kansas City Soap Box DerbyKids drive their own cars! Kansas City Soap Box DerbyCome Get the Thrill of the Hill! Kansas City Soap Box DerbyBuild & race your own car! 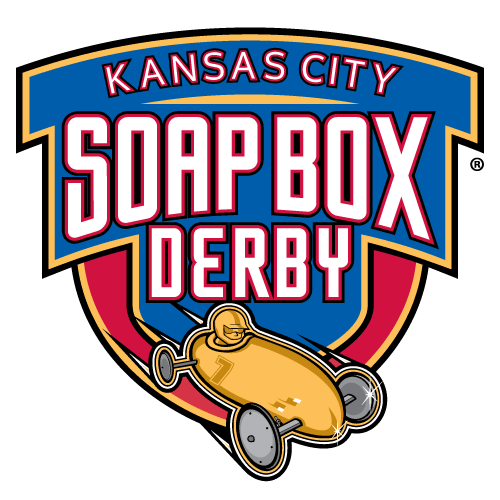 Known as the greatest amateur racing event, Soap Box Derby is a youth racing program that began in 1934 and has been an organized sport in Kansas City since 1947. Girls and boys ages 7-21 build their gravity powered racers with the help of a parent or another adult and compete against other racers reaching speeds up to 30 miles an hour on the dedicated track at 4600 Eastern Avenue in Kansas City Missouri. Racers learn the skill of quality workmanship, the thrill of competition, the importance of sportsmanship and the fulfillment of perseverance. Soap Box Derby builds close parent/child relationships and creates memories that will last a lifetime. Rallies are sanctioned by the All-American Soap Box Derby (AA). AA competitors may be 7 years to 18 years old. Go to the About Us page to see our schedule of races and events. Go to our FAQ page to see tips and tutorials about how to race a soap box derby car. Check out our Local History page to learn the history of our organization. Please visit our kcsbd.org website and go to the 'Contact Us' page to join our mailing list to get occasional emails about upcoming events and any race dates that are not listed. Or like us on Facebook. Map to KC Soap Box Derby Track (4600 Eastern Ave, KCMO).